Home » Community and Society » 9th Annual Lagoon Reef Eco Challenge off to an exciting start! 9th Annual Lagoon Reef Eco Challenge off to an exciting start! 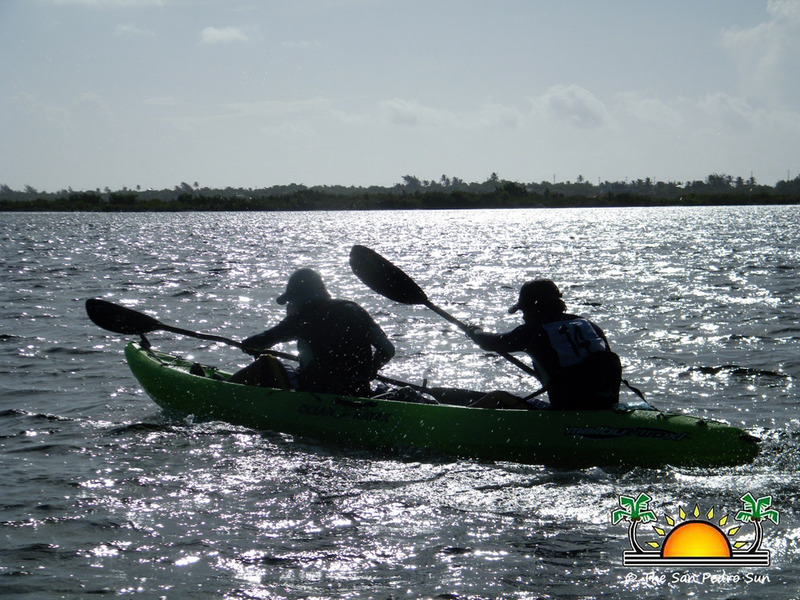 The 9th Annual Lagoon Reef Eco Challenge is well under way. 20 teams started the two-day competition from the San Pedro Central Park area. The race is the brainchild of Elito Arceo which started small and has blossomed into one of the largest event on the island. In the junior male category there are six teams - Watta Dog, Blue Water Grill Boys, Super Buy Boys, The Marine Boys, Dos Chingonez, and Dudis Boys. 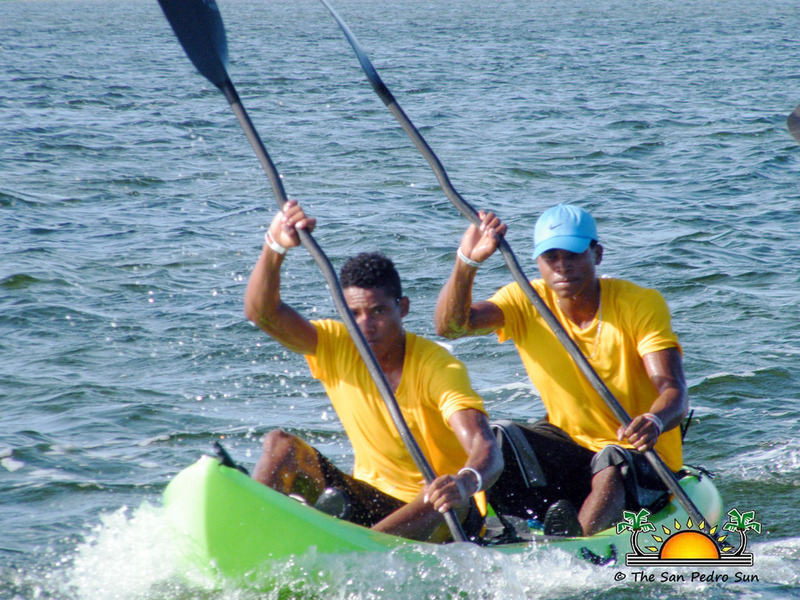 The Senior double category is made of 12 teams - Come And Get Me, Watch Dogs, Sparta Boyz, Casa Picasso, Indecency Boyz, Happy Cow, Tropic Air, Team Two G, Las Tortungas, Belize Coast Guard Wave Runners, Dream Team and Licks Beachside Cafe. There are two female teams -Team Stars and Peacemakers Toucan Too. 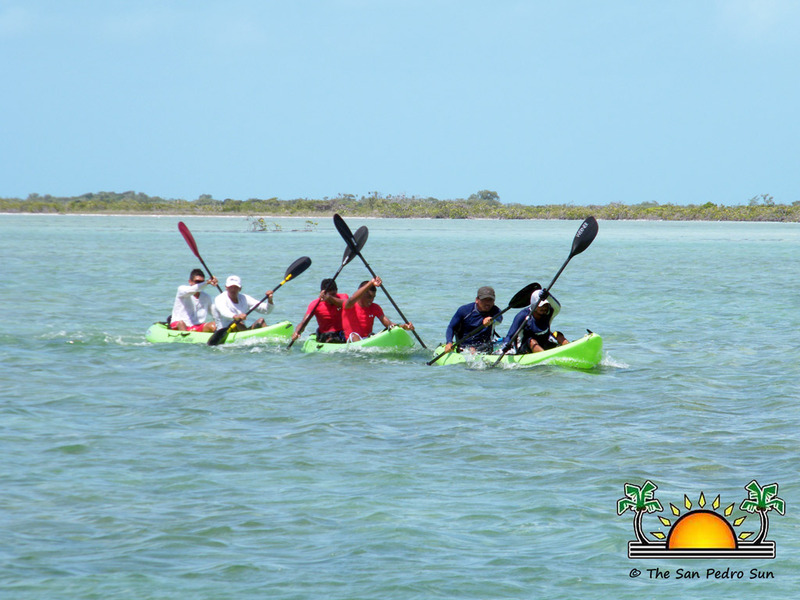 The challenge started shortly after 7AM and by 7:55AM they were into the channels that lead into the Cayo Frances Lagoon. 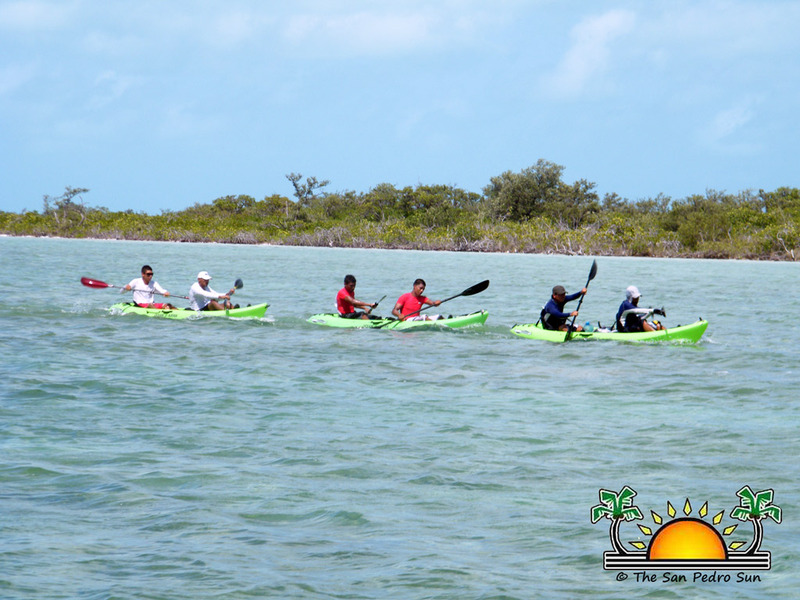 The lead teams were out of the Cayo Frances Lagoon by 9:50 AM. The two teams leading the challenge is Sparta Boyz comprising of Sergio Lopez Jr and Jesus Linares and Las Tortugas made of Edwin Casasola and Cesar Salazar. Happy Cow made up of Alfred Lopez and Byron Cruz is in third place so far. Sponsors for the event include: Belize Diving Adventure, The Palms, FC Aluminum, Go Fish Belize, Wally’s Electrical, Captain Morgans, Blue Tang Inn, San Pedro Town Council, Ramons, Village, Tropic Air, Las Terrazas O Restaurant, Tres Pescados, Hurricane Ceviche Bar, Pedro’s Inn and Hotel, Fido’s Restaurant and Bar, Captian Shark, Shawn Gordon, El Fogon, Casa Pan Dulce, Hol Chan, Lino’s Meat Shop, Elvis Kitchen, Quality Poultry, Orvis, Bistro Mestizo, Briana’s Restaurant, SEAduce by Belize, Sandy Point Resorts, Southwind property, Carts Belize, El Pescador, Ocean Belize and Gaby’s Construction.